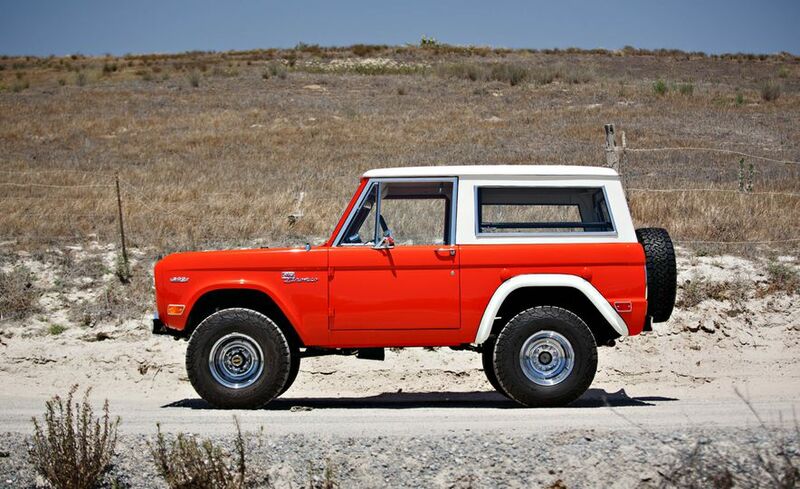 The Bronco Hunter started life as a very early production 1969 model, ordered on July 18th 1968 as a “Test Vehicle.” Its specification was unique, ordered with front and rear limited-slip differentials, large tires, a Bronco Sport package, and other special options. 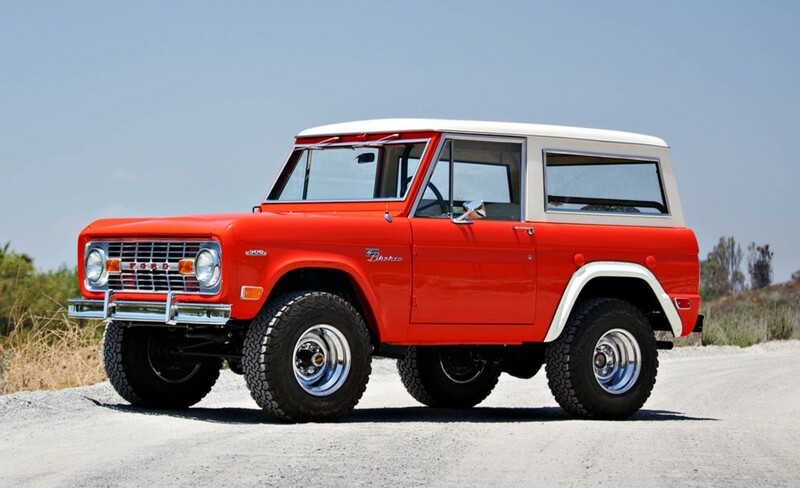 Soon this special Bronco was delivered to Ford Motor Company’s Research and Engineering Center in Michigan on August 29, 1968, and recored as sold this very same day, another indication that this was no ordinary production unit. 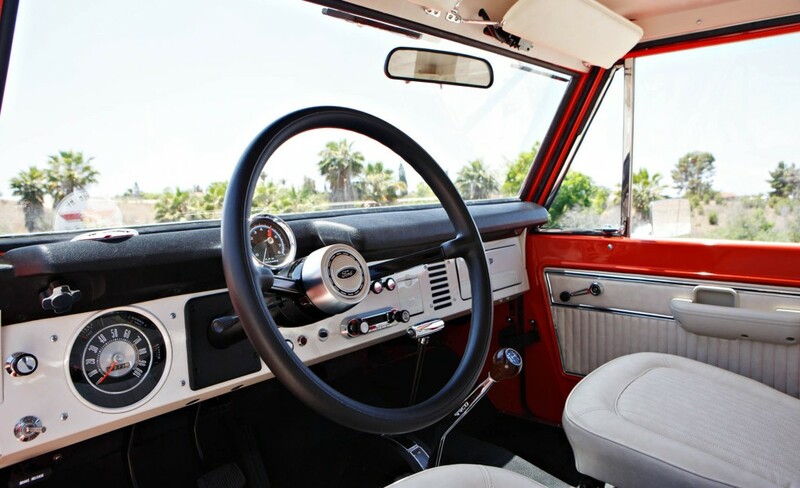 And the lucky recipient of this new Bronco? 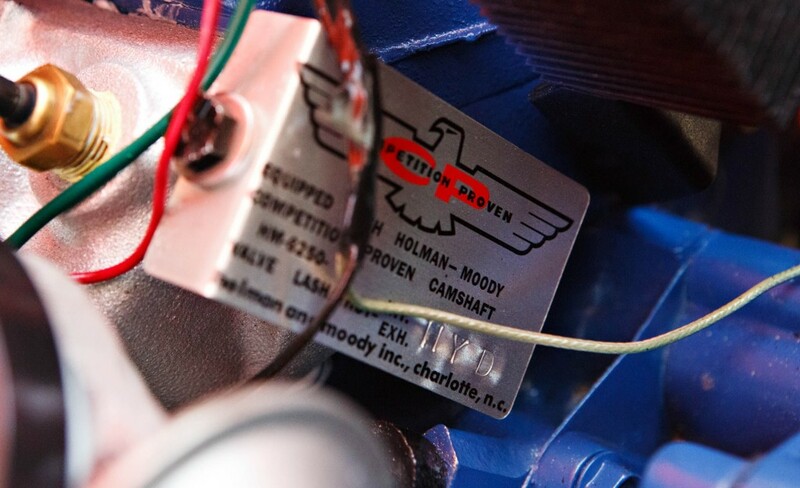 The legendary Ford-backed racing firm comprised of Holman & Moody and Bill Stroppe and Associates, also known as “HMS,” whose Bronco race teams won numerous off-road events. 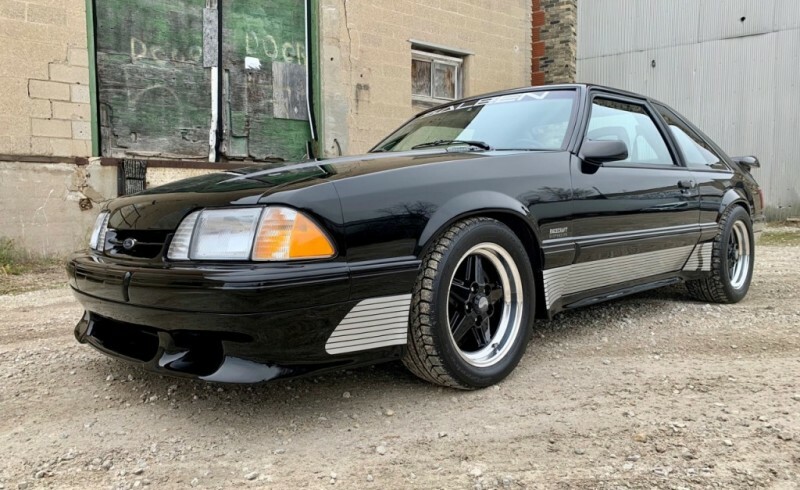 Perhaps assigned to HMS as a development vehicle, more likely the transaction was part of Ford’s “Dollar Car” agreement, a program designed to get new vehicles into the hands of high-profile racers and race teams. 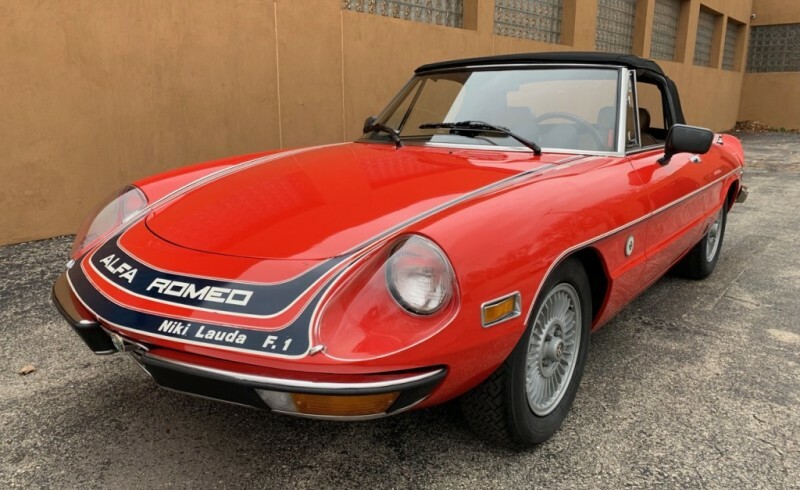 To circumvent the ban on sponsoring such entities these “Dollar Cars” were not given away but rather sold for the princely sum of exactly $1. 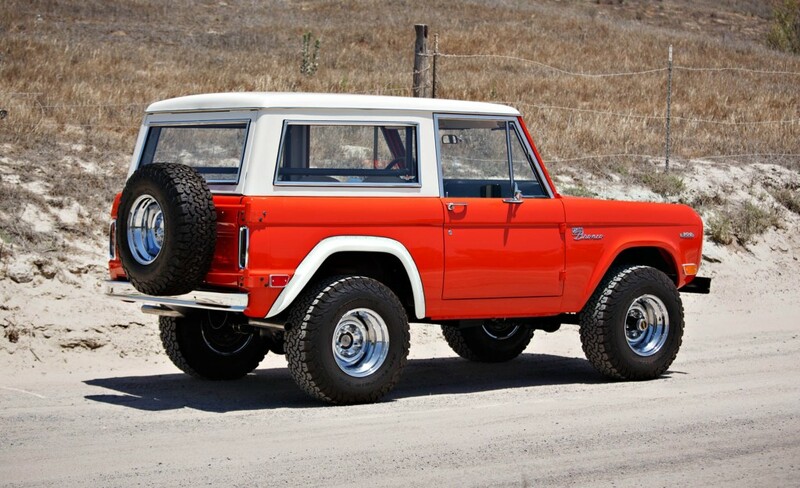 Once in HMS’s hands this Bronco was renamed the Bronco Hunter. 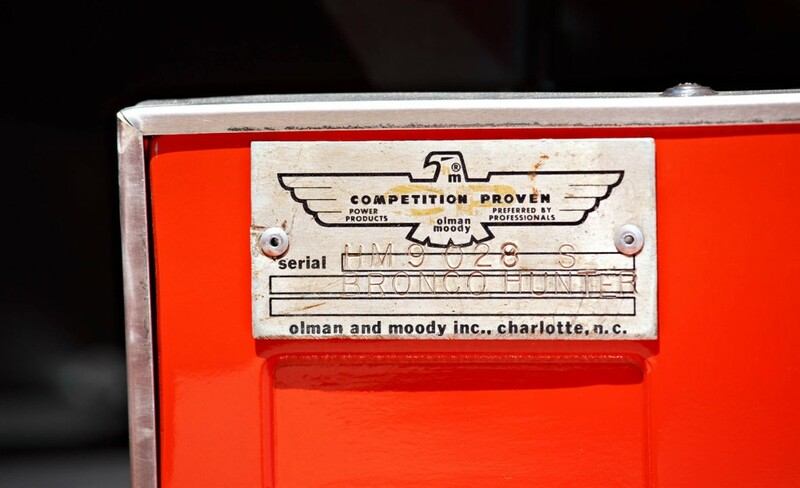 Its original Ford VIN and trim tag was removed from the glovebox door, and the Hunter assigned a Holman-Moody serial number HM9028 S, denoting “9” for the year 1969, “028” for its sequential build number, and “S” as an unknown designation. This HM VIN tag would be affixed to the driver’s side seat riser, a prominent location easily seen by anybody climbing into the driver’s seat, likely a calculated move by the HMS team. 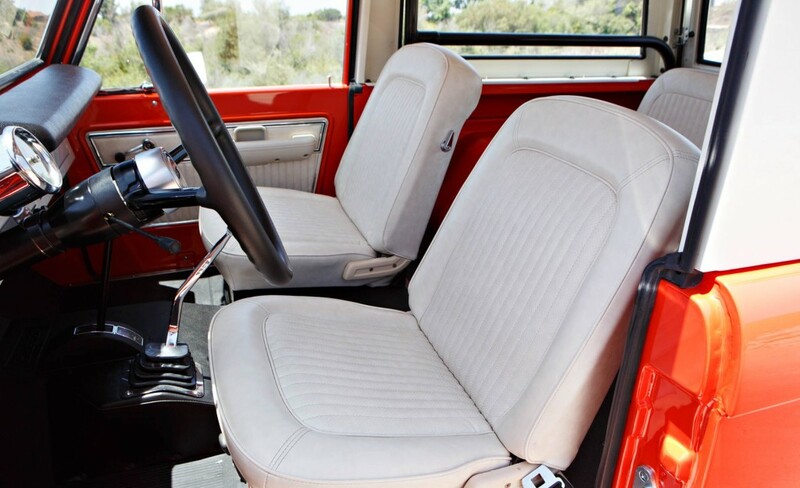 The original Wimbledon White finish was vehicle was re-sprayed with an orange paint finish that would not otherwise be seen until the 1971 introduction of Ford’s Baja Bronco, and the Hunter was fitted with HMS rear fender flares, roll bar, padded steering wheel, and power steering, all items that wouldn’t be seen on a production Bronco until the introduction of the production Baja Broncos in 1971. The Bronco Hunter was then lost to the hands of time, a recent VIN search showing it trading hands at a car auction in the early 1980s in the South but soon disappearing again after that. Yet in early 2016 the missing Bronco Hunter would surface again, miraculously complete, at a salvage yard in Phoenix. 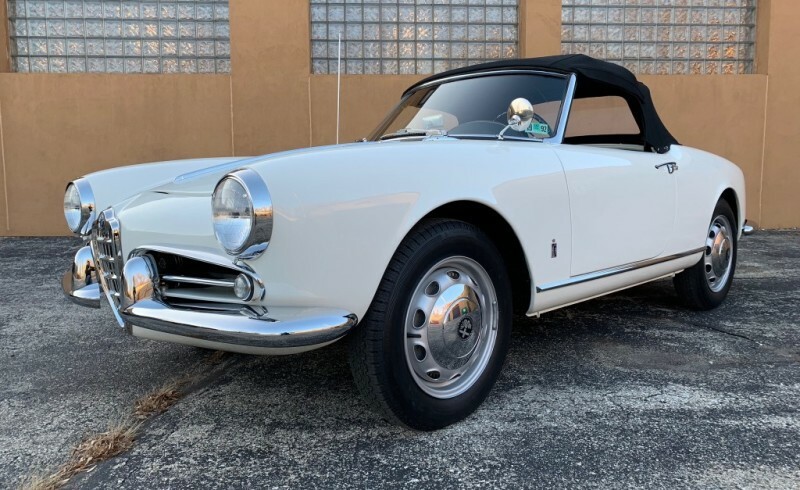 Using the hidden confidential Ford VIN on the right frame rail a Marti Report was obtained that validated the body and chassis were indeed a match to the original Holman Moody VIN tag the Hunter still wore. 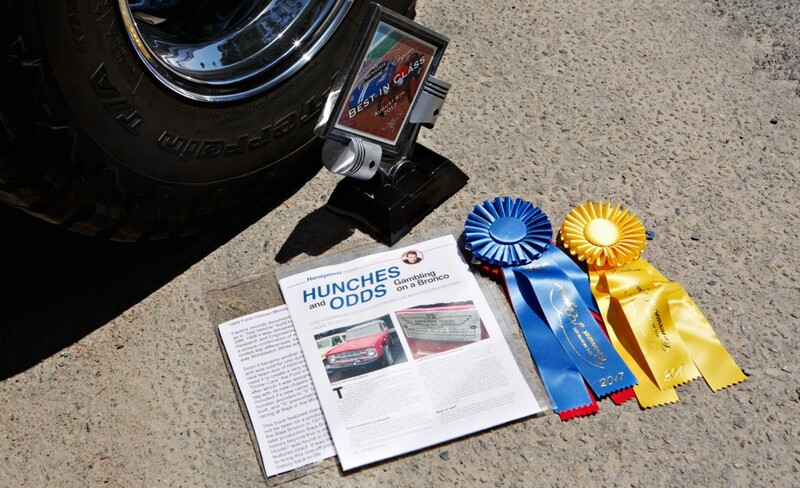 It soon was purchased by me and treated to a 2,400 man hour concours fully photo documented restoration here at Colin’s Classic Auto where we were honored to bring this one-of-a-kind Bronco back to life in a bold and fastidiously detailed way. During the restoration every effort was made to ensure the finished product would not only look perfect but also perform better than new so subtle upgrades were hidden within the build, such as custom “soft ride” springs, Bilstein shock absorbers, a front anti-sway bar, electronic ignition, a fully balanced driveline, hidden sound deadening in critical areas, and other thoughtful tweaks that make the Bronco Hunter an incredibly enjoyable vintage SUV. 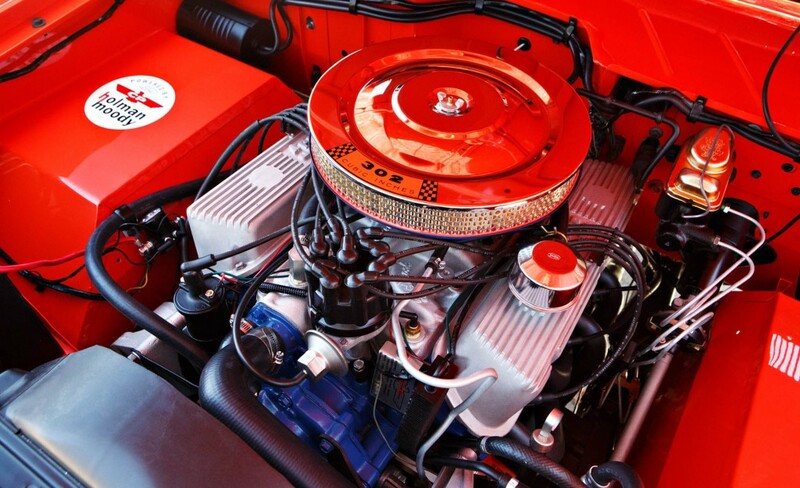 In the world of Broncos there are regular production examples and even a few low-production specials such as the coveted Baja Broncos of 1971-1975. 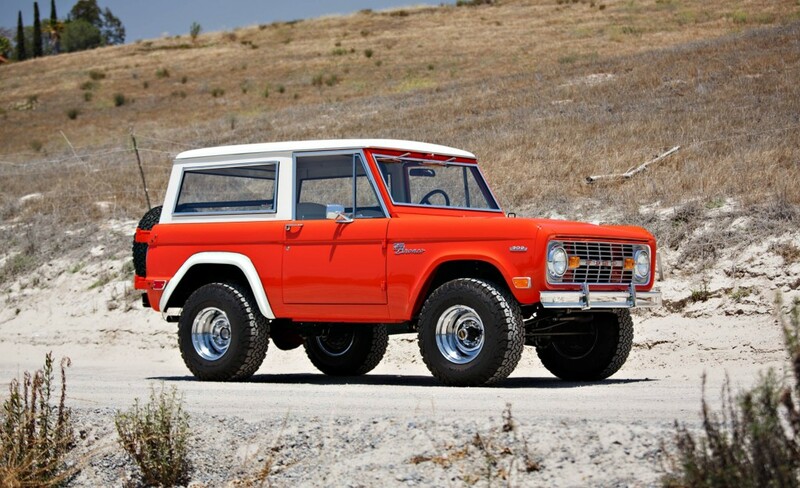 But with its documented special build, Ford Research and Engineering delivery, and subsequent conversion by HMS into a Holman & Moody named and serialized vehicle there is no question the Bronco Hunter is one of the few truly historic examples of the breed that exist.